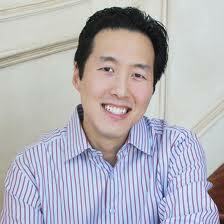 Medspa MD's interview with Dr. Anthony Youn, MD, FACS, a plastic surgeon and author practicing in Michigan. That's interesting: Dr. Youn has been named one of the top three plastic surgeons in the United States by askmen.com and the only Michigan plastic surgeon named as a Top Doctor by U.S. News and World Report. Profile: I am a board-certified plastic surgeon in private practice in Troy, Michigan. I am a member of the American Society of Plastic Surgeons, the American Society for Aesthetic Plastic Surgery, and an Assistant Professor of Surgery at Oakland University / William Beaumont School of Medicine. Can you tell us a little bit about your background and how you got started as a plastic surgeon? My first taste of plastic surgery was when I underwent major reconstructive surgery to my jaw in the summer between high school and college. Prior to this surgery, my mandible was so large it was twice the size of Jay Leno’s and dubbed “Jawzilla.” At the time I hoped that this surgery would transform me, a skinny Asian American nerd with no nerve, no game, and no clue, into an Adonis: A ladies’ man. Unfortunately, this surgery started a four-year dating drought, and didn’t really teach me that changing your appearance could change your life until much, much later. My real introduction to plastic surgery came in the form of an eight-month-old boy who was mauled by a raccoon. His face was literally eaten off. The moment I saw the plastic surgeon make plans to reconstruct this poor child’s face, I was hooked. I describe this scene in great detail in my book. I completed my plastic surgery residency at Michigan State University in Grand Rapids, a fellowship in aesthetic plastic surgery in Beverly Hills, and stared my private practice in Metro Detroit. Can you tell us more about your practice and how it's organized? Youn Plastic Surgery, PLLC is a private practice plastic surgery clinic. I have six employees: a receptionist, a patient coordinator/scheduler, a medical assistant, two aestheticians, a nurse injector, and myself. The office inhabits 4000 sq feet on the 12th floor of the tallest high rise building in Metro Detroit. We offer a full range of surgical and non-surgical plastic surgery treatments, including laser treatments, injections, cosmetic and reconstructive plastic surgery. Staff compensation is often a question for docs. How do you handle that? All of my employees are paid hourly, with no pre-set incentives or commission. Full time employees get full benefits, including health insurance, 401K, and profit-sharing. I work with a practice management company to help with payroll and other employment issues. What are your thoughts about the IPL and cosmetic lasers that you’re using in your clinic? Due to my frequent media appearances, I often have new technology come through my office, usually for limited periods of time. I frequently present the newest laser and light-based technology for several television programs, and have partnered with various companies who supply them to me on a trial basis. That being said, I also own several ‘workhorse’ devices that are used on a daily basis. I have the Cynosure Cynergy laser, which combines pulse dye and Nd-YAG lasers in one, and the Syneron eLight with Refirme, hair removal, and skin rejuvenation treatment heads. My office also uses the Dermosonic device for the temporary reduction of cellulite and a microdermabrasion machine as well. Sound's like you're fortunate in that you're really busy which leads to the next question: How are you marketing your practice? I’m fortunate that the only advertising I purchase is the maintenance of my three websites:dryoun.com, celebcosmeticsurgery.com, and institchesbook.com. I’m often featured in local and national media, which has given me a significant amount of exposure. In the past I’ve used many sources of advertising, including newspapers, local magazines, internet SEO, local TV and radio, all with varying results. I find that internal advertising using Constant Contact (email software) has been our most effective means of getting the word out. The yellow pages is the one media source I recommend other providers not waste their money on. I recently went on a book tour to promote my book which included articles in several magazines and newspapers, including Plastic Surgery Practice and Plastic Surgery News. This exposure has been really valuable for my practice. No question, Surgery. The vast majority of the profits of my practice come from surgery. Although approximately 25-30% of the gross practice revenue stems from non-surgical treatments, approximately 60-70% of this revenue goes to supply costs, like Botox vials, Restylane syringes, and laser maintenance costs. Plastic surgeons, like all doctors in cosmetic medicine, usually have some interesting patient stories to tell. Do you have one that really stands out? Jane was a librarian in her mid-forties who consulted me for eyelid surgery. It didn’t take long for me to diagnose her with BDD. “So what would you like to talk about today?” I asked her. I spent an hour trying to convince Jane that she didn’t need surgery and that she should seek professional counseling instead. She wouldn’t listen. She became increasingly agitated. Finally she said if I didn’t operate on her, she would take a scalpel and perform the surgery on herself in my office right then! Cue creepy horror film music here. I would never operate on Jane, who clearly seemed mentally imbalanced. But I wanted to say no to her as tactfully as possible. I pulled out my trump card. When things get ugly, I go to the one excuse that always defuses a situation, guaranteed to reject a patient for surgery without making her upset. Sadly, it’s the same excuse countless women used on me during high school and college. “Jane, it’s not you, it’s me. I’m not ready to do your surgery. I don’t think I’m a skilled enough surgeon to make you happy. Don’t laugh. She bought it. Any final words of advice for other physicians running their own clinic? About: Dr. Youn is the author of a plastic surgery tell-all, In Stitches, recently published by Simon and Schuster and a regular contributor to CNN.com, MSNBC.com, and USA Today. Dr. Youn has been featured on the Rachael Ray Show, Good Morning America, the Dr. Oz Show, the CBS Early Show, and many others. Dr. Youn has authored or co-authored several papers and scientific manuscripts on plastic surgery, including such procedures as the Volumetric Facelift and Facial Reshaping. In addition, throughout his career he has conducted scientific research on a variety of topics, extending from cosmetic surgery, to laser treatments, to reconstructive trauma surgery, to HIV medications. He is a member of the Editorial Advisory Board for Plastic Surgery Practice Magazine and has lectured throughout the country.